On the 16th (Fri), don't miss a visit to Hakaniemi Market, then test your team's savvy at popular escape rooms, then don't miss a visit to Porvoo Old Town, and finally take an in-depth tour of Seurasaari Island and Open-Air Museum. 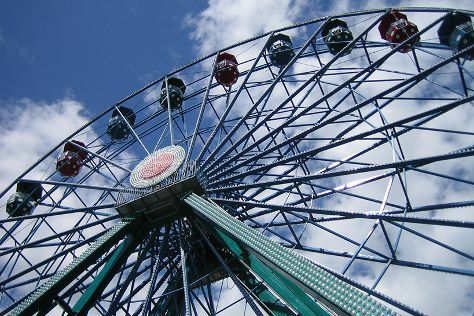 On the 17th (Sat), you'll have a packed day of sightseeing: find something for the whole family at Linnanmaki Amusement Park. For traveler tips, ratings, maps, and other tourist information, use the Helsinki trip planner. Kansas City, USA to Helsinki is an approximately 16.5-hour combination of bus and flight. You can also do a combination of bus, flight, and ferry; or do a combination of bus, flight, and train. The time zone difference moving from Central Standard Time (CST) to Eastern European Time (EET) is 8 hours. Expect little chillier temperatures when traveling from Kansas City in August; daily highs in Helsinki reach 69°F and lows reach 53°F. Wrap up your sightseeing on the 17th (Sat) early enough to drive to Turku. Get outdoors at Teijo national park and Vepsa Island. You'll discover tucked-away gems like Turku Castle and Naantali Old Town. The adventure continues: deepen your understanding at Turku Cathedral, examine the collection at Luostarinmaki Handicrafts Museum, and let little ones run wild at Adventure Park. To find ratings, other places to visit, photos, and more tourist information, read our Turku tour itinerary maker site . Traveling by car from Helsinki to Turku takes 2 hours. Alternatively, you can take a train; or fly. In August, daytime highs in Turku are 68°F, while nighttime lows are 51°F. Finish your sightseeing early on the 20th (Tue) to allow enough time to drive to Imatra. 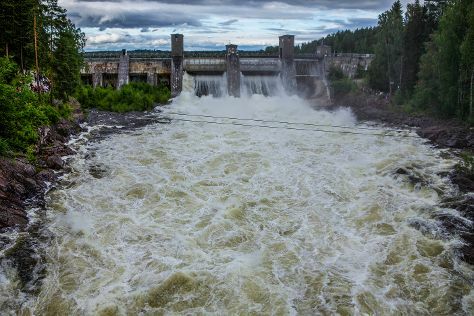 On the 21st (Wed), step off the mainland to explore Lammassaari Island, then head off the coast to Malonsaari, and then take in the dramatic scenery at Imatra Waterfall. For where to stay, maps, and tourist information, you can read our Imatra route planning tool . Drive from Turku to Imatra in 5 hours. Alternatively, you can take a train; or do a combination of flight and train. Expect a daytime high around 68°F in August, and nighttime lows around 53°F. Finish your sightseeing early on the 21st (Wed) to allow enough time to drive to Savonlinna. On the 22nd (Thu), explore the striking landscape of Kolovesi National Park. Get ready for a full day of sightseeing on the 23rd (Fri): explore the striking landscape at Punkaharju Ridge, contemplate the waterfront views at Siikalahti Wetland, and then explore the historical opulence of Olavinlinna Castle. 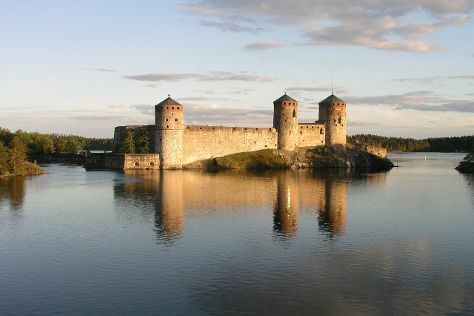 To find where to stay, photos, and tourist information, read our Savonlinna trip builder tool . Drive from Imatra to Savonlinna in 2 hours. Alternatively, you can take a train; or take a bus. In August, plan for daily highs up to 67°F, and evening lows to 52°F. 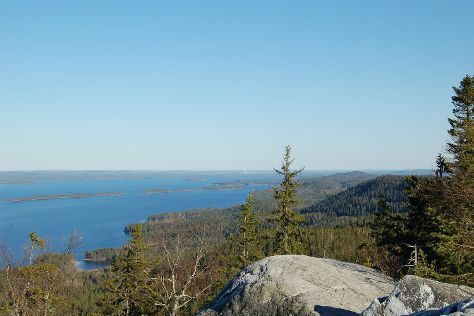 Wrap up your sightseeing on the 23rd (Fri) to allow time to travel to Koli National Park. Escape the urban bustle at Pielinen and Paha-Koli Hill. Eschew the tourist crowds and head to Akka-Koli Hill and Koli Shop Retkitupa. For reviews, maps, ratings, and other tourist information, read our Koli National Park trip planner . You can drive from Savonlinna to Koli National Park in 3 hours. Expect a daytime high around 67°F in August, and nighttime lows around 52°F. Wrap up your sightseeing on the 26th (Mon) to allow time to travel to Kuusamo. Kuusamo is a town and municipality in Finland. Get in touch with nature at Kiutakongas Rapids and Palosaari Reindeer and Fishing Farm. You'll discover tucked-away gems like Pieni Karhunkierros Trail and Julma Olkky. And it doesn't end there: hit the slopes at Ruka, admire the masterpieces at Hannu Hautala Nature Photography Centre, and stop by Shopping Center Kumpare. For maps, other places to visit, more things to do, and tourist information, refer to the Kuusamo vacation planner . Drive from Koli National Park to Kuusamo in 5 hours. Alternatively, you can fly. In August, daily temperatures in Kuusamo can reach 63°F, while at night they dip to 48°F. Wrap up your sightseeing on the 29th (Thu) early enough to travel back home.